A collection of space themed brain and body break ideas for kids! 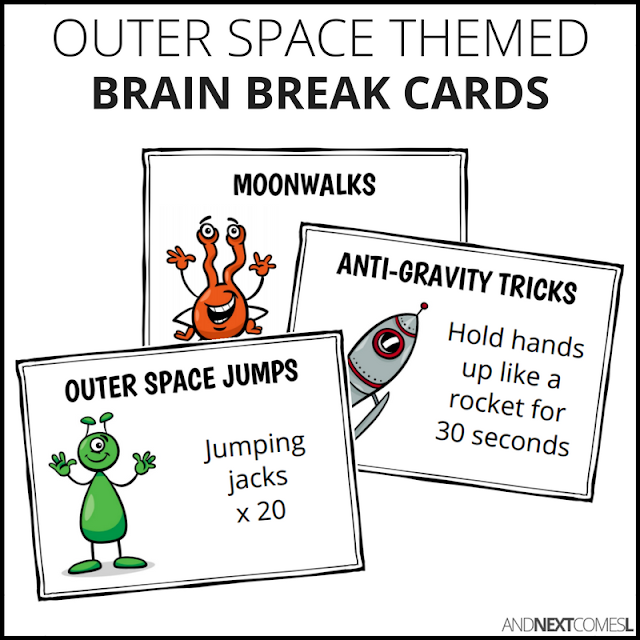 These outer space themed brain break cards are a perfect way to inspire some simple brain and body breaks, either at home or at school. They also make a perfect compliment to our handy dandy personal space social skills pack.